Extensive, but brought to a point. With the high-quality AMBI-POINT display you can currently present up to 7 different series from our trend-oriented series AMBIENCE. 4 solid and ergonomic AMBI-BOXES not only inform you extensively about the technical characteristics of the products, but also make them a tangible experience for the customers as the tiles are removable. The high-quality and ergonomic boxes not only contain all the colours and designs oft he respective AMBIENCE series, but also make them tangible for your customers, as each item can be easily taken out of the box. 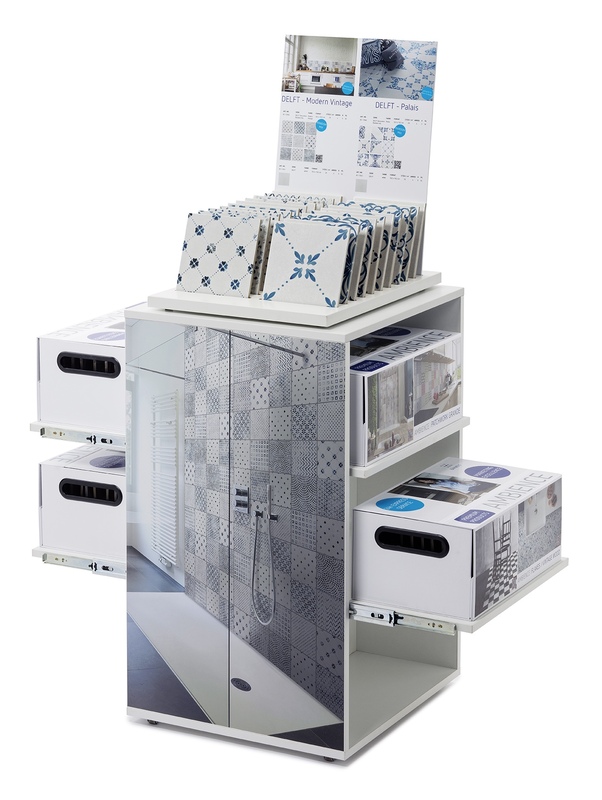 With just 0,3m², this modern display might find room on every sales counter. 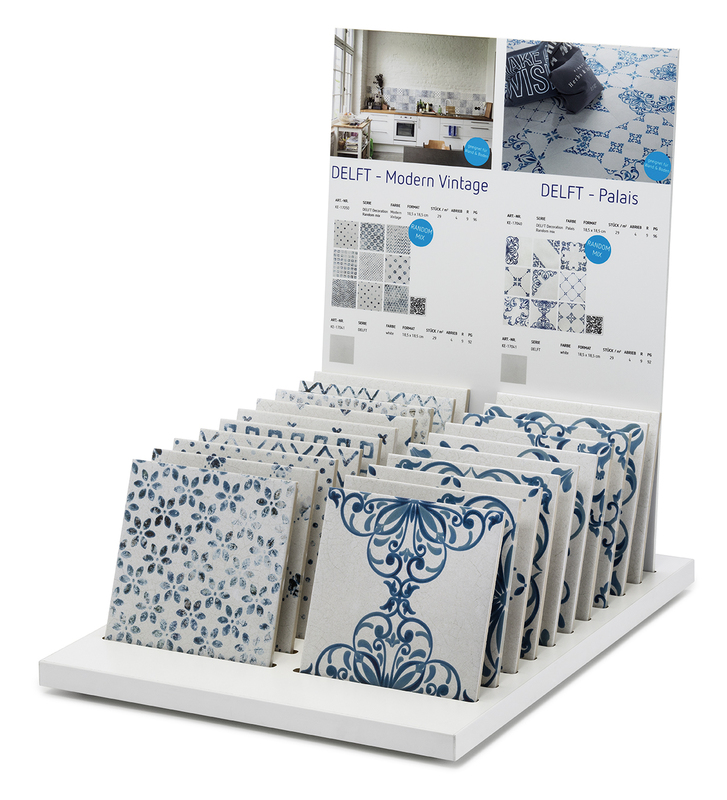 As all tiles are removable, it ensures a haptic experience for your customers. 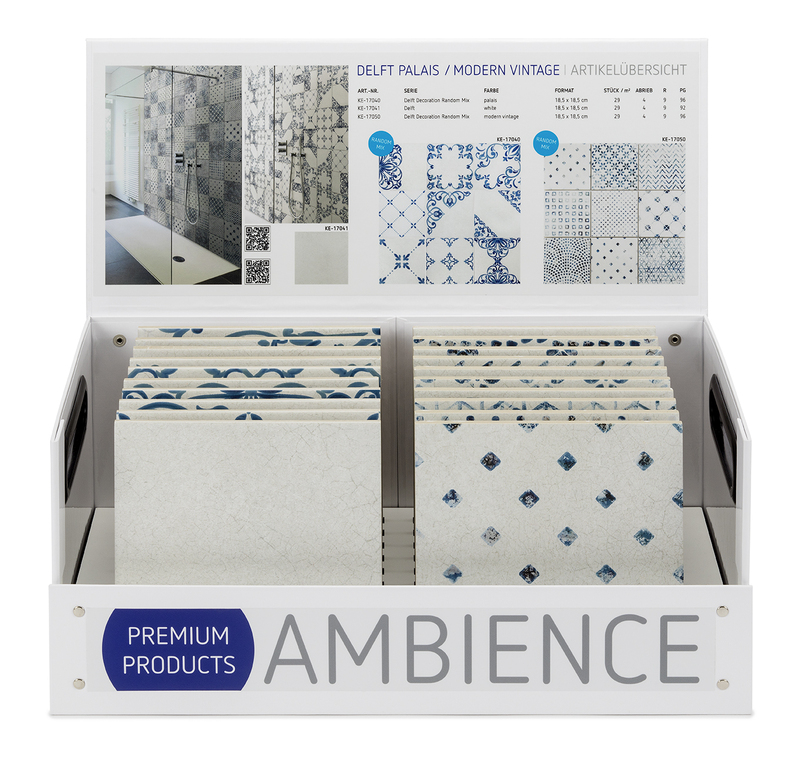 The AMBIENCE series are presented in a practice-oriented manner on 8 attractive designed panels. Each panel convinces with an appealing ambient image with the suitably laying. In a trend-oriented design, the Z-DISPLAY enables a complete presentation of approx.110 of the bestselling Bärwolf mosaics – on just 1m² of floor space. 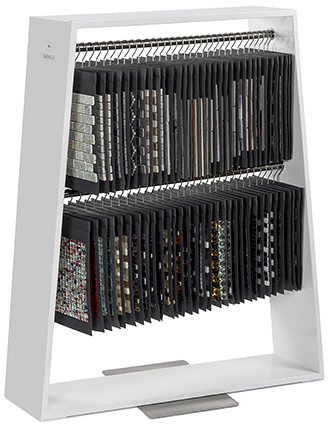 The Z-DISPLAY MINI enables a compact presentation of approx.60 of the bestselling Bärwolf mosaics – on just 0,5m² of floor space. 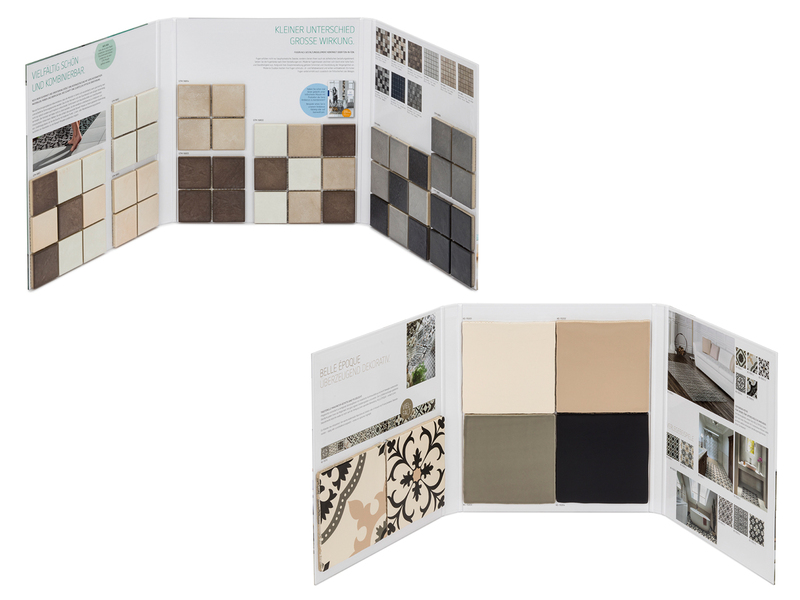 Our information and advising centre for slip-resistant tiles in its most compact form. 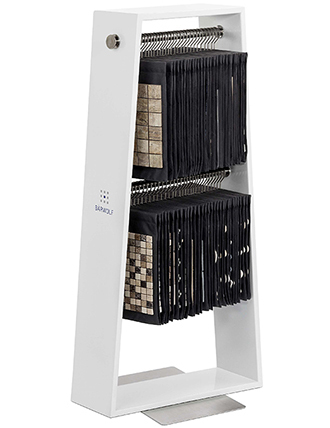 The CUBUS MINI allows the vivid presentation of approx. 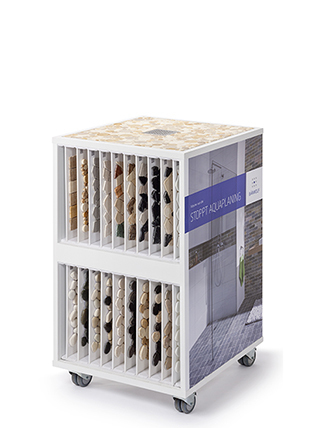 60 slip-resistant Bärwolf mosaics fort he design of barrier-free and floor-level shower areas. Available in 2 versions. 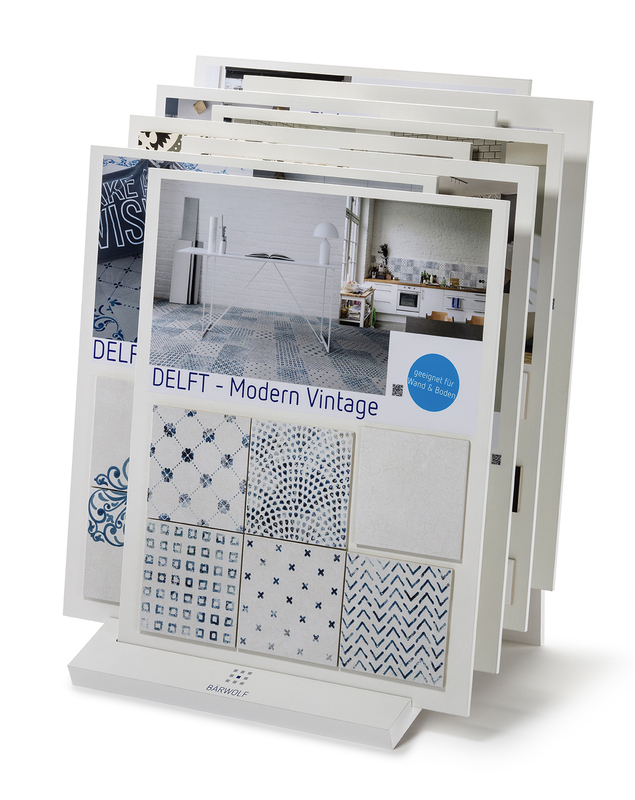 The folders in DIN A4 size give you a comprehensive overview of either the GTM series with its 9 selected glazed, slip-resistant mosaics and the possible applications or the series Belle Époque, both sorted and mixed.